As part of our continuous improvement program we are looking to improve the data exports that are available through the FIND website. Additional attribute information including the new building height attributes. Unit measurements to be in metric. 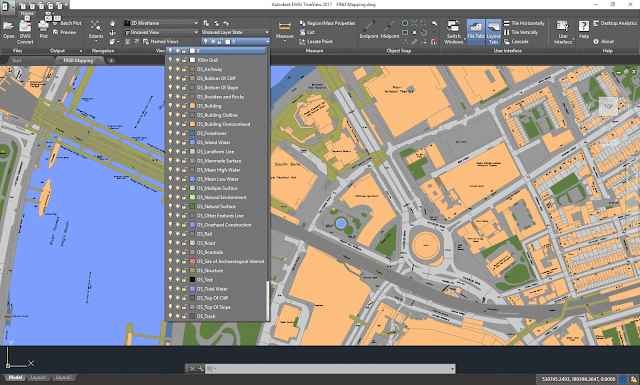 Ordnance Survey Mastermap Topographical layer exported from FIND and displayed in DWG Trueview 2017.